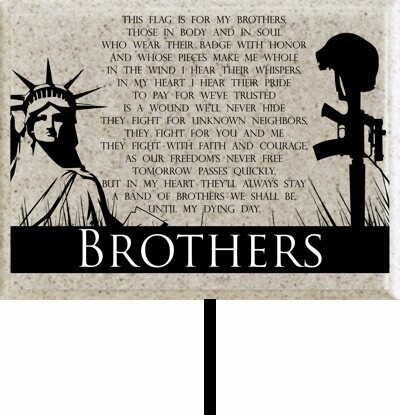 Personalize this plaque with your own text, add a graphic or a photo and display it on the wall or on an angled stake. 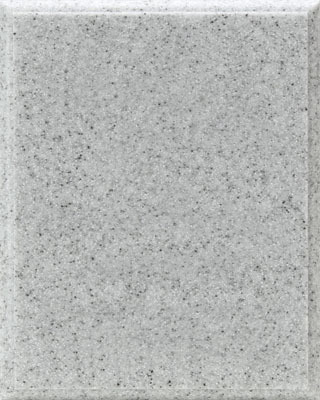 The plaque has a unique stone-like appearance. 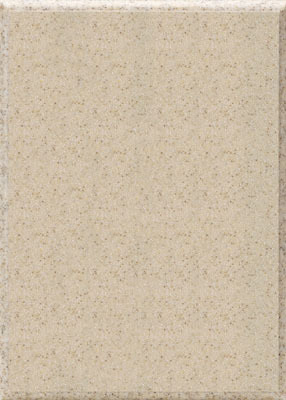 Made of acrylic, it is lighter than stone, weather resistant and perfect for outdoors. 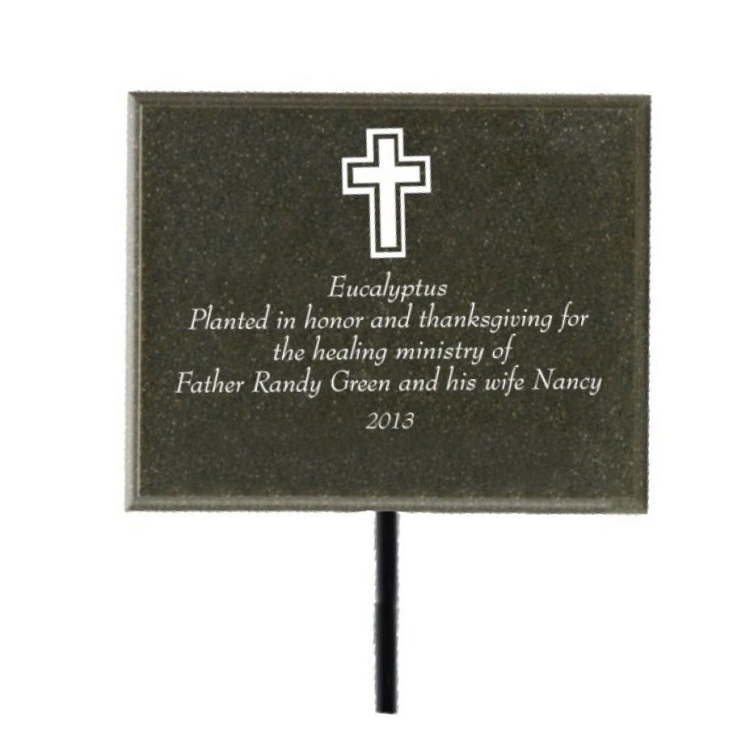 The stake allows the plaque to be displayed at an angle for easy reading. 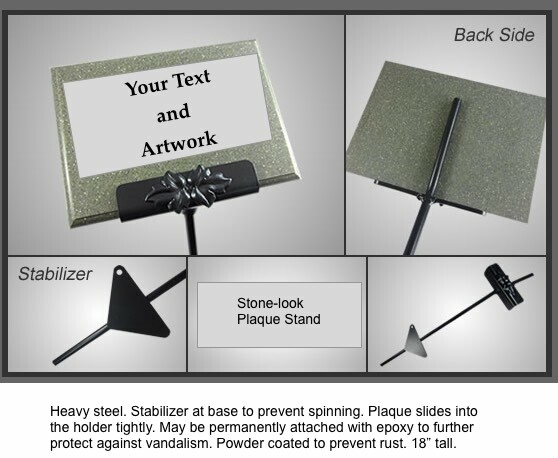 The plaque and stake are shipped assembled. 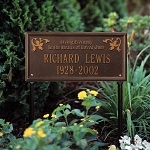 The beautiful engraved plaque is a great gift for a garden lover. Personalized in USA. - Professionally designed. Our artists will format your text and design the layout for you. 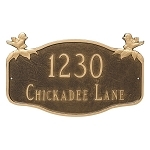 In addition to text, we can add graphics or photos to your plaque. 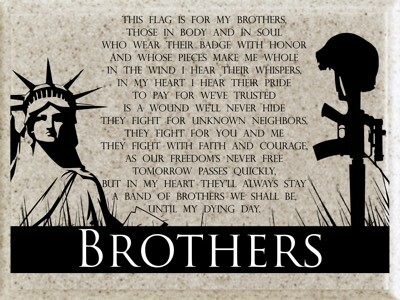 Please enter a description of the graphic that you would like and we will do our best to find one for you. 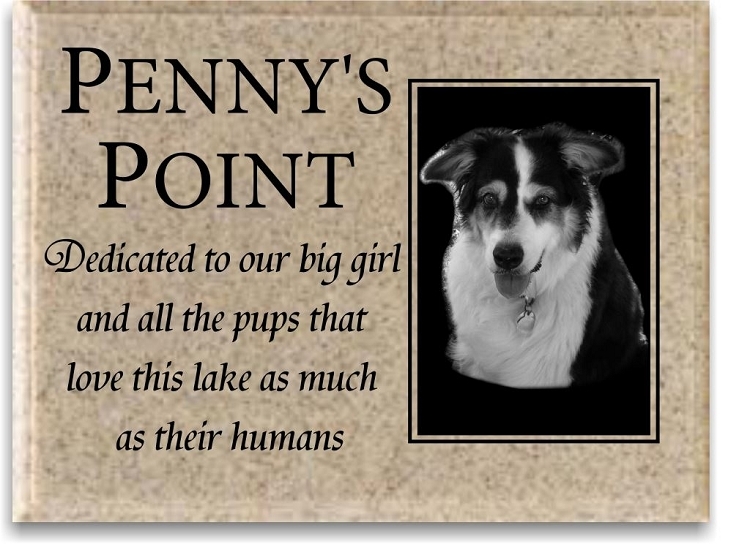 For example, you can request a graphic of a dog breed, flower, tree, flag, dog paws, etc. Graphics are added at no additional charge. There may be a slight charge if you request multiple or complicated graphics. We will contact you if there would be an additional charge. If a photo is used, it is etched on metal. When the photo is etched on metal, it is permanently attached to the plaque. The result is a beautiful plaque with a photo that shows shadows and details. The decision as to etching style is dependent upon the photo. The photo should be a jpg with 250 dpi. See photo tips. 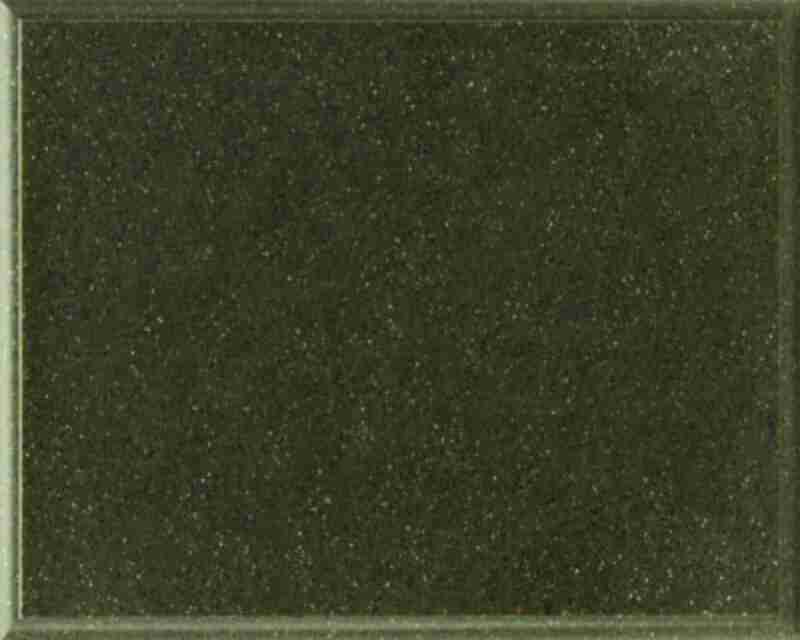 - Wall Style has a key slot on the back which allows for vertical or horizontal display. 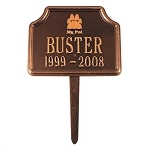 - Lawn Style has an 18" stake that is angled so it displayed the plaque at an angle for easy reading. The stake is 18" with a 1/2" diameter. A free draft is provided, along with a modification to that draft, if needed. After three drafts, we will contact you to discuss the cost of further modifications. 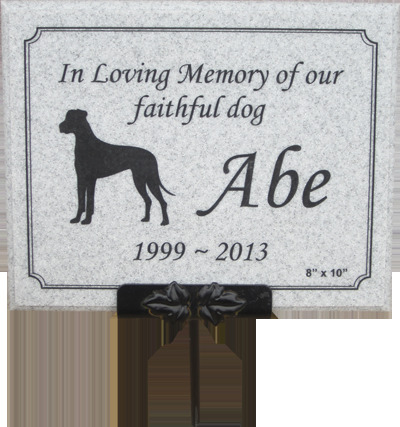 Our professional artists will design the plaque for your approval. This looks fantastic. I recommend the Stone with stake. They added a custom tree /mountain design and it is beauiful! This is beautiful! I certainly recommend ourcornermarket and will order from them again in the future. Q: We are interested in a graphic of a red oak tree. 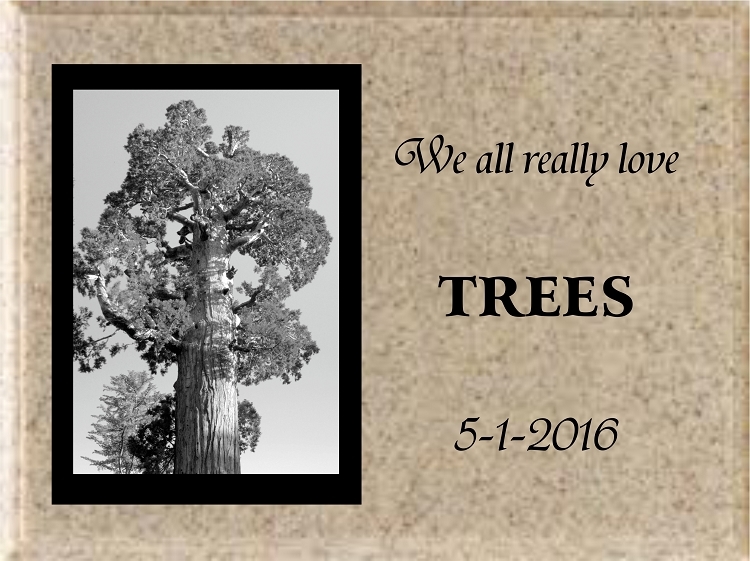 We have 104 characters and would be ordering the larger size outdoor sign for standing next to an oak tree we are dedicating. Would sending you a photo of a tree similar to what we had in mind help? How is the sign attached to the stake? How is it best to secure the stake in the ground? A: Yes, please include a photo of the tree. Be sure to put the Order Number on your email and include the text . We'll send a proof for your review. The plaque can be just inserted into the ground. Some customers have used a little quick set cement and inserted the stake. They have tied ties to the stake until the cement sets. Some place much around the stake and some make berms. The plaque is inserted into the decorative bracket at the top of the stake. Click on the last image under the large image to view the stake and its specifications. Q: What is the email to send details to you after placing an order please? The text can be in the email or on a word document. Q: We want an evergreen tree on the plaque but don't have any artwork. Can you help? A: Yes, we can do that. Just place your order. Email your text to us with your order number. Add that you'd like to have an evergreen tree. We'll create a proof for you to review. The artwork is free.